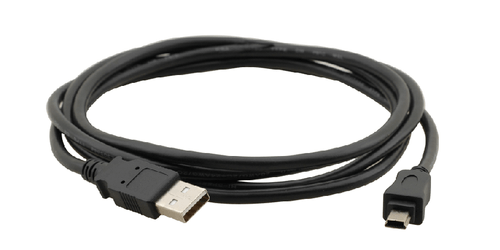 The C-USB/Mini5-3 by KRAMER is a high-speed USB 2.0 to mini-B 5-pin cable. This cable is used to connect computers to peripherals such as cameras, external hard drives, and other digital devices with a high-speed signal transfer rate of 480Mbps. The C-USB/Mini5 is compatible with USB types 1.0, 1.1, and 2.0 and its made with foil & overall braid for a maximum protection against EMI/RFI frequencies.